Vinyl flooring gives a versatile look to one's home whilst not compromising the style and quality. 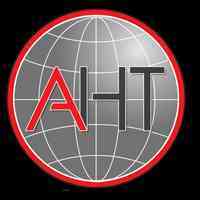 Here at AHT Carpet and Flooring, we provide floorings of various styles and colours to cater to everyone. Do drop by to our showroom with your floorplan to get your quotation today! Or simply call us (63621662) for any enquiries. Visit us at 180 Woodlands Industrial Park E5 #01-16 Woodlands Auto Hub S(757512). Good quality Commercial vinyl flooring for sales. Total 6rolls. One roll 40sm..name your price. Cartons for moving house (used, but still thick n strong): 06 cartons 22 x 14 x 15 inches 10 cartons 18 x 12 x 10 inches take all (16) for $10. SMS Ms P K - 84793272 (do not call/ whatsApp/ email). Cash n carry: woodland, marsiling drive, just opp mosque.